Ghena Morosanu is a very experienced and talented artist who was awarded Moldovan Artist Of The Year in 2012 for expanding Moldovan culture throughout the world and within Moldova. At the age of nine he discovered Greeko Roman wrestling and dedicated himself to it for thirteen years, throughout this time Ghena also practiced several forms of martial arts such as taekwondo, karate do and Kyokushinkai . Ghena’s first artistic passion grew through classical painting and sculptor. His newly enlightened artistic drive lead him to discover Latino, and Ballroom Dancing of which he is now a professional artist. This furthered his development as a seasoned performer, showman, comedian and actor for more then 15 years in Moldova, several ex USSR countries, Europe and USA. Ghena’s home country of Moldova, situated in Eastern Europe is rich with its own unique culture of art, music and dance. Of which along with its historical traditions are held close to his heart with the upmost respect. The importance of maintaining cultural traditions was instilled in Ghena by his father, Vasile Morosanu, who is a well respected and revered National Artist of Moldova, this a honorific title awarded by the government of Moldova and is held in high esteem by the citizens of Moldova. Ghena Morosanu is a manager, co-owner and co-producer at the Studio Perlele Moldovei (Moldovan Pearls) a non-profit organization in The Republic of Moldova, aimed at provding underprivileged chidren the opportunity to experience the joys of art and creation. The studios success lies in the accomplishment of producing and teaching young artist and performers. These artist and performers have been awarded first prizes and the esteemed prize of grand prix’s at different contests held at festivals in Moldova, Russia, Kazakhstan, Italy, Romania, Bulgaria, Ukraine, Latvia and The United States Of America. The studio is glad to contain Folk and Modern dancers Ensembles, Dolls Theatre, Orchestras and Singers. After gaining a Bachelors Degree in International Economic Relations Ghena worked within several positions within Moldovan economics. He commenced his career as an Accountant which then lead him to more prominent positions including but not limited to, The main specialist in social funds in the district of Anenii Noi, Moldova, Land regulator in City Hall, various positions within the economic sector, including district economic analyst and Show Director and Performer at the District Entertaining Center of Anenii Noi. These achievements to name a few have resulted in Ghena being held in high regard as a community leader and counselor to his region. Throughout this his career in economics his passion and talent for art and cultural performance grew stronger through his participation in cultural exhbitions and his work within the Studio Perlele Moldovei. This allowed him to further develop his Singing, acting and dance by performing on stages, organizing shows and being involved in the entertainment business. His last studies where in The United States Of America at The Lee Strasberg Institute. While attending this highly regarded institute he was participated in the Theatre Plays “A dolls House” by Henrik Ibsen, “Three Sisters” by Anton Chekhov, Musicals – “Some Like it’s Hot”, “Chicago”, “Cabaret” and several independent films. His proudest achievments during this time where being accepted into the Group Theatre, a theatre ensemble created by the great Lee Strasberg at his institute in New York. Ghena has also began his process of joining The Actors Studio, currently directed by Martin Landau and Ellen Burtsyn, supported by their co-presidents Al Pacino, Mark Rydell and Harvey Keitel through an offer of participating a foreign observers program at the studio. In 2013 Ghena, his family and George Kulya created the Moldovan Festival Martishor, for the first time on the West Coast of The Unites States Od America. Festival Martishor is an old celebration of Spring, new beginning and Women’s day. As the festival has been well received by the Californian community. Ghena, as Associate Producer and Director of the festival and his associates are glad to report that it has been held yearly since its conception. The Festival was originally created in Moldova by his father Vasile Morosanu in 1994 and continues to run in Moldova as well as Italy. 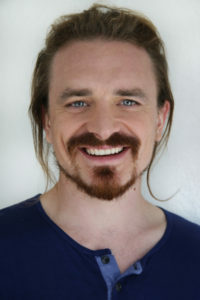 Besides his great amount of work within the community, the economic sector and the arts, Ghena’s main focus has narrowed to acting and collaborating with people within the industry, including Actors, Directors, Producers, Teachers, and many other forms of Artistic and Technical Professionals with in the film and theatre industry. It is Ghena’s strength, ability, drive, work ethic and talent that has afforded him the opportunities and successes he has had within his career so far. It is his aim and focus to continue to pursue his goals in Moldova, The United States and the rest of the world.